The void left by prohibition was soon filled by ruthless and ambitious men. Men who would do anything to make a few more dollars, or millions in some cases. If a bribe fails they are just as happy getting what they want through violence. 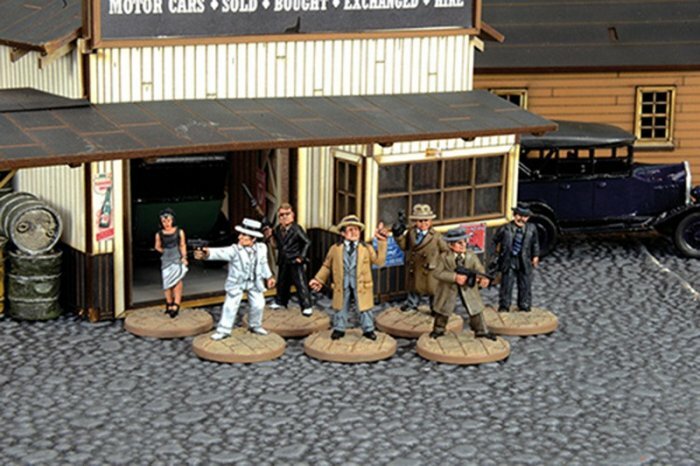 Boxed gang of 7 Gangsters including special rules card and bases. Models are 28mm sized metal figures, supplied unpainted. May be supplied unboxed. "You can always tell the winners at the starting gate."